Avendus advises Lohika on its strategic acquisition by Altran. Avendus Capital is pleased to share that Altran has signed definitive agreements to acquire Lohika. Lohika is a leader in digital product development space. It offers premium software engineering services to leading technology companies through delivery centers in Eastern Europe. 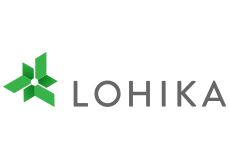 Avendus Capital acted as the exclusive advisor to Lohika and its shareholders.